The material below come from a variety of sources. 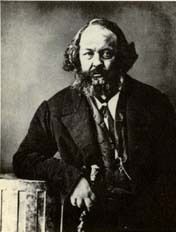 Bakunin's writings include not only letters, books and newspaper articles, but unpublished manuscripts and records of speeches which are difficult to date and need editing. Selections of his writings usually include excerpts from larger manuscripts and articles made up of selections from a variety of sources. Consequently, a certain amount of repitition is unavoidable.